Access1Source now provides complete labor management. We have expanded our solutions with applicant tracking and onboarding. Well-designed hiring software automates routine tasks. The hiring team can focus on strategy rather than process. 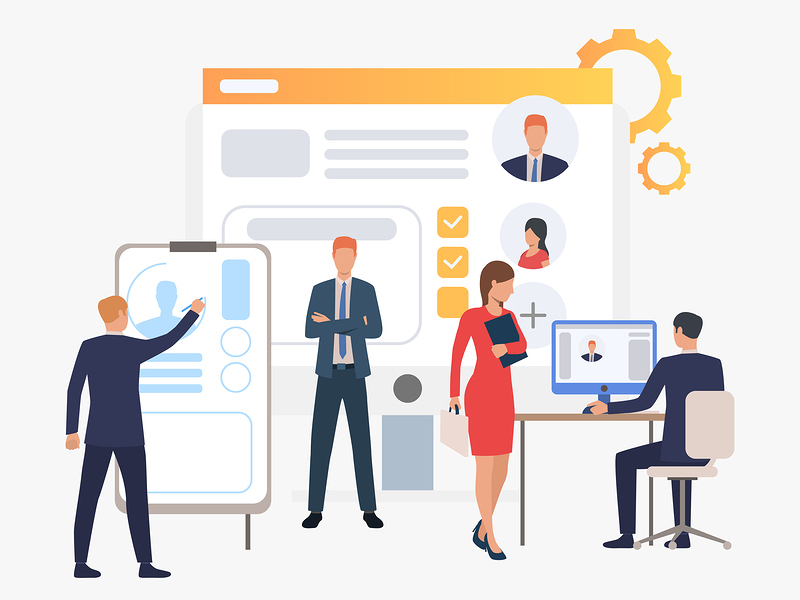 Applicant tracking systems (ATS) are similar to customer relationship management (CRM) platforms except they manage job applicants rather than customers or leads. ApplicantStack Recruit creates a database of resumes and applications. They contain tools that help hiring managers to track and filter resumes. Plus greater efficiency for workflows further along in the hiring funnel. This allows organizations to cast a wider net when recruiting. With ATS, recruiters can track hundreds of applicants more efficiently than dozens of applicants manually. Companies that allow employees to work remotely gain an important advantage with ApplicantStack Recruit. They are not limited to the local workforce. They can focus nationally. Or even globally. When a remote position is posted, it’s not unusual for an organization to receive thousands of applicants. Companies large and small are realizing that onboarding is a key step in hiring. Organizations with powerful onboarding processes experience less turnover. They also enjoy high customer satisfaction. Simplify the new hire experience. Step employees through activation, benefits, handbook review and more. Ensure timely and accurate completion of all tasks. Does your business have a well-designed onboarding protocol? Modern onboarding is more about long-term performance than initial orientation. If you haven’t done it yet, it’s time to design a formal onboarding protocol with ApplicantStack Onboard. ApplicantStack Recruit and ApplicantStack Onboard round out our WorkforceHUB portal. It’s an all-inclusive labor management solution for small to mid-size businesses. In addition to TimeSource Plus and TimeSimplicity, you now have all other HR functions fully integrated. Bi-Directional Payroll Integration (select platforms) Give workers easy access to pay stubs, 1099s, direct deposit receipts and W2s. Enable personnel to update their own tax info. Simplify benefits paperwork. Provide cost analysis, selected benefits, and benefits summary confirmation. Step employees through enrollment including electronic signature. Add structure to the review process. Write your own questions and record responses. Attach employee and manager review documents. Confirm completion of required tasks. Design workflows for company-wide or departmental tasks. Simplify processes that require employee confirmation to ensure compliance. Create employee alerts they will see every day. Use templates for common alerts. Set triggers by recipient type or hire date. Build custom fields such as next review date. Copy supervisors. Publish a company directory with daily announcements. How about a birthday list and recognition wall? Gain new insights from your associates with an anonymous suggestion box. Provide a document and link library. View read receipts for key items such as the employee handbook or training manuals. Shop for compatible applications that augment your payroll and HR environment. We are always adding integration partners. We currently work with software that oversees employee rewards, 401k, and paycheck advances.